Now for the unthinkable: from the workshop of English best gunmaker James Purdey & Sons emerges an audacious 12-gauge clays gladiator fit for the Olympics. The idea may not seem so far-fetched after shooting the new Purdey Trigger Plate over/under. The topic of Team GB competing with a Purdey shotgun at the 2024 Paris summer Olympics arose from a conversation with George Juer, Purdey’s Manager of North American Sales. He was driving a Polaris as we zipped through countryside hills of the sporting clays course at Griffin & Howe’s Hudson Farm in Andover, New Jersey. I was still talking about a few of the remarkable shots I had made with the Purdey Trigger Plate (even surprising myself), despite that the 8-pound/11-ounce demo model came with extra barrel thickness for high driven pheasants. Final production weight should be closer to 8 pounds/3 ounces. The new Purdey Trigger Plate gun. If the provocation rocks your world that luxury brand Purdey – with Royal Warrants from every reigning monarch since Queen Victoria, up to and including present day – could challenge Olympic podium regulars from Italy and Germany it’s important to understand Purdey’s manifesto for the future as exemplified by the Purdey Trigger Plate. Purdey Chairman and CEO James Horne shooting driven pheasants at the French Creek Sportmen’s Club. While refinement and elegance remain synonymous with Purdey side by sides and small-bore over/unders, James Horne, Purdey’s Chairman and CEO, is adding tournament-grade performance to the company’s directive with the boxlock Purdey Trigger Plate. The 12-gauge Purdey Trigger Plate is marketed to modern-day driven-pheasant hunters who shoot loads powerful enough to implode Bugsy Siegel’s old Las Vegas casino in their Perazzis, Krieghoffs and Berettas. Purdey’s lovely shotguns, with their gentry DNA, were not conceived to endure today’s high-pheasant wars. So while Purdey shotguns grace the moors and heather the company calculates it’s leaving money on the table without having an industrial-strength, 12-gauge over/under built entirely in London to Purdey’s impeccable specifications. I first shot the Purdey Trigger Plate at the French Creek Sportsman’s Club in Saratoga, Wyoming. 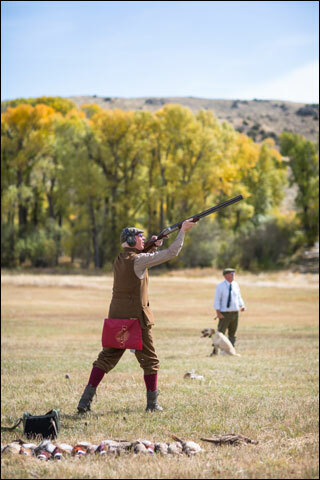 The event, called a “Specialty Weekend Drive Hosted by Purdey Shotguns,” took place September 28 through October 1, 2018. It was all pheasants, all the time. Driven hunts occupied the mornings followed by walk-ups after lunch. I had the opportunity to shoot several different Purdey shotguns, but the Purdey Trigger Plate was undeniably the best on driven pheasants. George Juer with the new Purdey Trigger Plate gun at the Hudson Farm sporting clays course. Mr. Juer is leading that charge in the American market. On behalf of Purdey he attends about three events per month. Surprisingly, most of them are around recreational sporting clays – a high-value market that presents the opportunity to compete against Perazzi, Krieghoff and Beretta. And that’s the main reason why in October 2017 Purdey established a U.S. Northeast base of operations at Griffin & Howe’s Hudson Farm. Hudson Farm’s astounding sporting clays course, replete with simulated driven birds, plus its high-tech 1,000-yard rifle range, give clients a chance to evaluate Purdeys in the field. Purdey’s agent in Houston, Texas, Gordy & Sons, is developing a state-of-the-art shooting grounds. In South Georgia’s quail country – where Kevin’s Fine Guns and Apparel stocks Purdeys – you can shoot Purdey shotguns at the Kevin’s Southern Game Fairs held in Thomasville, Georgia during the first week of November. And of course you can travel to London and try it at the luxuriant 65-acre Royal Berkshire Shooting School that Purdey acquired in April 2018. 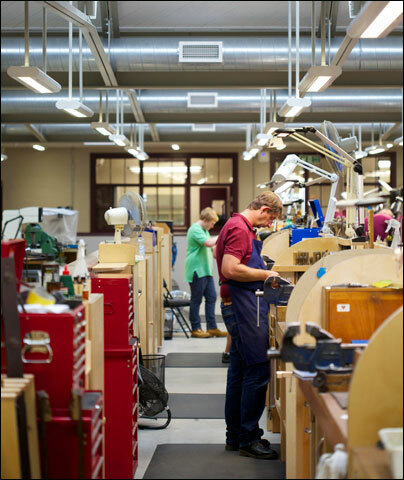 Inside the modern Purdey West London workshop that was completed in 2015. The Purdey Trigger Plate shotgun is also emblematic of ongoing advancements at the company’s four-year-old factory in West London. To commemorate Purdey’s bicentenary, the original single-story, converted slaughter house that produced Purdeys from 1900 to 1950 was razed in 2014 and replaced with a modern three-story construction completed in 2015. The new 35,000-square-foot building synergized traditional bench finishing, cutting-edge digital design, precision CNC machines and an underground patterning board that combines a digital photography system with electronic impact detectors (it cuts those frequent trips to the West London Shooting School during gun testing). 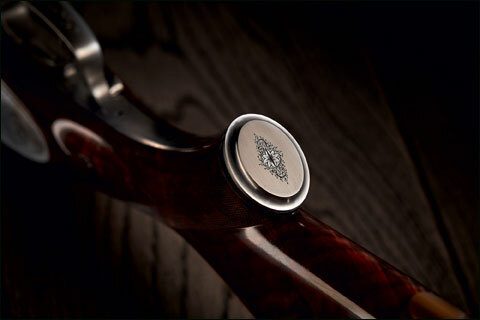 The Purdey Trigger Plate is made entirely in Purdey’s London workshop. 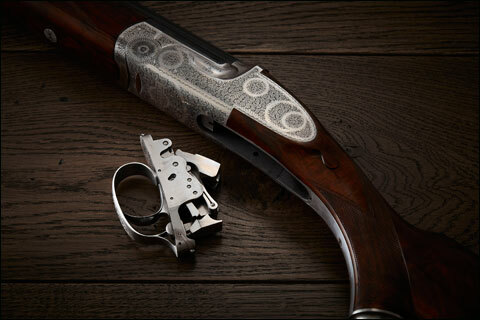 Like all bespoke Purdeys it passes through the traditional seven stages of gunmaking: 1) barrel making, 2) actioning, 3) locks and triggers, 4) ejection, 5) stocking, 6) engraving and 7) finishing. “Our CNC machines are used to a far greater extent in the first five stages, and then the guns are finished by hand,” said Mr. Juer. At the push of a button, the trigger group drops from the bottom of the Purdey Trigger Plate gun. The Purdey Trigger Plate is christened after the shotgun’s firing mechanism mounted on the trigger plate. Purdey started using a trigger plate in 2008 with its Sporter over/under – meaning that the interchangeable-leaf-spring trigger group simply detaches through the bottom of the action via a discreet trigger-guard button to expedite cleaning and maintenance. On the Purdey Trigger Plate, though, the steel box around the inertia trigger group has been strengthened like a vault for very hot ammo and even hotter shooting. The action is machined from an EN36 steel billet. The Purdey Trigger Plate has a chopper-lump underlug and Boss-inspired bifurcated lumps on the monoboc walls that draw against bosses machined into the side of the receiver. This generous locking surface area ensures durability and rigidity for the high-volume discharge of powder-keg cartridges. 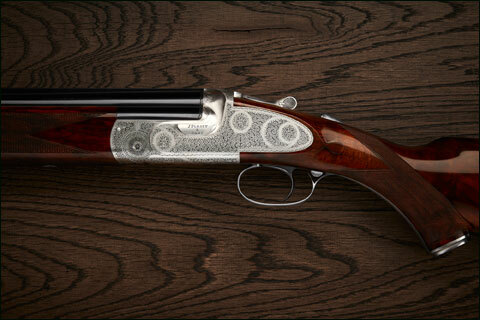 Each Purdey Trigger Plate shotgun, like all Purdeys, is customized to the client’s wishes. Barrel length, fixed or screw-in chokes, engraving styles, rib, wood grade, case finish, grip and forend preference are completely individualized. That also means the balance point can be calculated into the finished gun. The author shooting simulated driven pheasants with the Purdey Trigger Plate gun at Griffin & Howe’s Hudson Farm sporting clays course. There was an apparent disconnect. 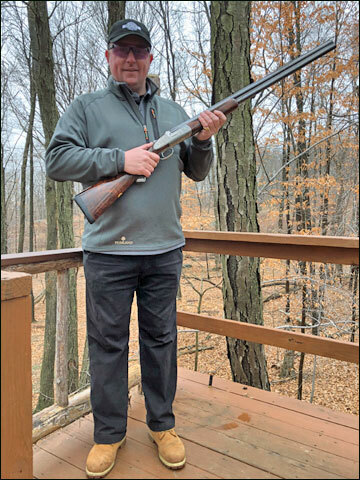 How could an eight-plus-pound over/under configured for high driven birds feel so nimble at sporting clays? Mr. Juer turned the conversation to balance and the classical Purdey proportions of the shotgun. The dimensions of Purdey Trigger Plate emphasize a between-the-hands balance. It’s a design principle in all Purdey Trigger Plate shotguns regardless of personal preferences on barrel or stock lengths. The shotgun will always handle the same. “Everything is in proportion,” Mr. Juer said of the Purdey Trigger Plate. Relatedly, the specimen I shot was recoil-free. We used the Hudson Farm go-to shells from Baschierri & Pellagri of 1 ounce at 1200 feet per second packed with number 8 shot. In a shotgun bearing the weight of that Trigger Plate it’s expected that felt recoil would be minimal with that load. But my feeling was that the lack of recoil was in fact deliberately fundamental to the harmonious experience of hot-barrel shooting the Purdey Trigger Plate – something you would expect for £59,500 GBP. 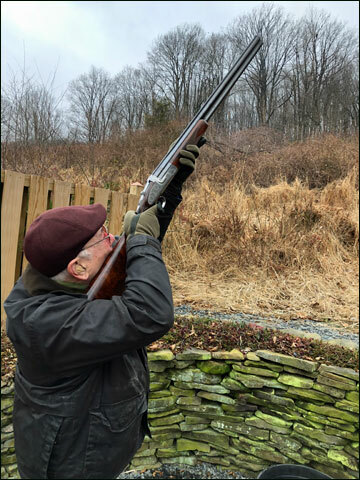 Shooting the Purdey Trigger Plate, we started on the simulated driven birds stations without a lot of lateral swing; but the real surprise played out on the Hudson Farm sporting clays course. On the very first station we shot (number 2), the Purdey Trigger Plate broke six consecutive clay birds of outgoers and crossers. It was a rare sense of elation where I felt the shotgun actually helped: it just went to the targets as though it had a heat-seeking front bead. That first station immediately created the impression that the Purdey Trigger Plate was a very forgiving shotgun. 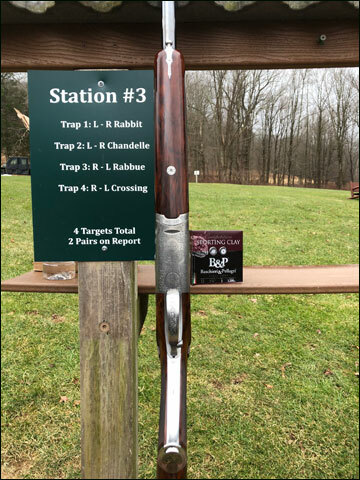 The Purdey Trigger Plate gun on the challenging station 3 of the Hudson Farm sporting clays course. On the next station (number 3) of a chandelle and a rabbit, I broke five of six. This time I realized there were no chipped targets: obliteration or a miss. Pressing on through the stations I began to appreciate the even-tempered consistency of the Purdey Trigger Plate shooting experience. If you’re the kind of shooter who likes to make excuses when you miss, buy yourself a different shotgun. The beautiful workmanship on the new Purdey Trigger Plate gun. A 20-gauge Purdey Trigger Plate is anticipated in about 18 months, followed by the 28 gauge. But in the near term Purdey is expected the raise the curtain on the lighter sporting clays model in early 2019. “I think the Purdey Trigger Plate defines Purdey’s history of being a company that exemplifies innovation,” said Mr. Bignell. In the two days I had spent at Hudson Farm Mr. Bignell and Mr. Juer sold three Purdey Trigger Plates – a matched pair and a single gun. Yes, the Purdey Trigger Plate is that good. Irwin Greenstein is the publisher of Shotgun Life. You can reach him at contact@shotgunlife.com. Thanks to Shotgun Life for this post. Click here to visit ShotgunLife.com. Better yet: Click here to follow Shotgun Life on Facebook.